We have 109 years of combined experience to handle even the worst pest invasions. We can usually respond to your call within 24 - 48 hours or less. This has resulting in us becoming the go-to pest control company in San Jose. Call now to schedule a technician. 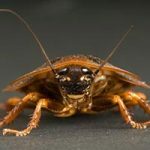 We get that when you have an insect invasion or nuisance animal in or near your home, you need prompt service which you'll get when you call us! We hope you will never need to call us again, but we like to try to make sure you'd want to by doing quality work. We treat your home like it's ours. We will need to come out to your home or office to put together an estimate. We need to actually see your situation to calculate the costs of removal. San Jose Pest Control can handle just about any kind of pest problem nature can throw at you, your home, or office! In general, our job of being an exterminator in San Jose is an important component of keeping the public safe, and healthy. Many of the insect pests and wild animals we remove have the capacity to carry all kinds of diseases, which can be dangerous to public health. 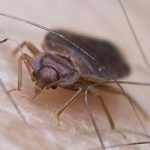 Of course not all of the bugs invading San Jose’s homes carry any kind of life-threatening diseases, but they still annoy us terribly and bugs shouldn’t have to be dealt with in our homes. Our professional pest control services can be a life saver for those who are feeling a little itchy or are bothered by just knowing the bugs are in their house. When we have solved the mystery of what pests we are dealing with, and how they gained access to your home, we will share what we have learned about. Next, we’ll explain the plan we have for pest eradication and removal so there are no surprises. This way you can closely monitor your home to make sure they don’t return in the future. Call our industry leading experts at (408) 680-5878 today for fast help with just about any pest control problem! No matter what unwanted critter has invaded your home, we'll get rid of it for you! Bed bugs are tiny, nasty little creatures that can be difficult to get rid of. With our experience, we can solve any bed bug invasion you're dealing with! 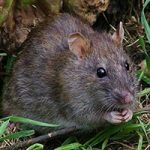 No matter what rodent you're dealing with, we can completely remove them from your home. This includes rats, mice, and more! Cockroaches, being extremely resilient, are some of the worst pests out there. Luckily, we'll entirely remove them from your home no matter how bad the infestation is!